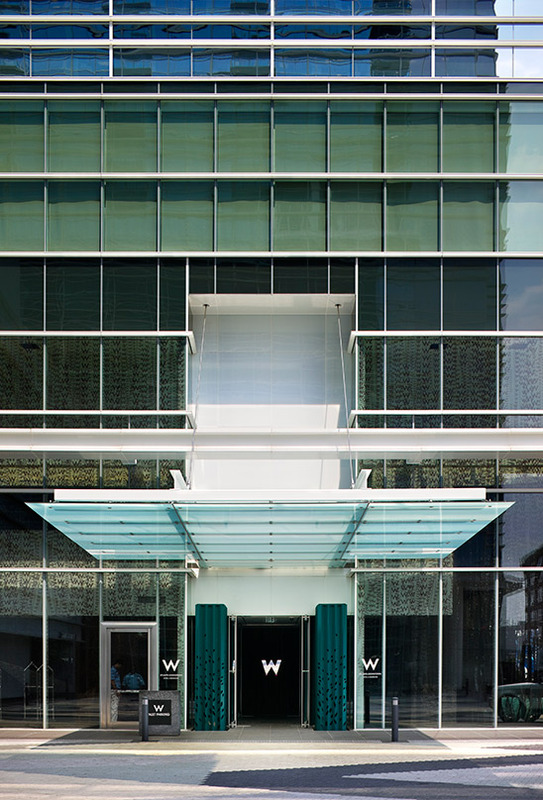 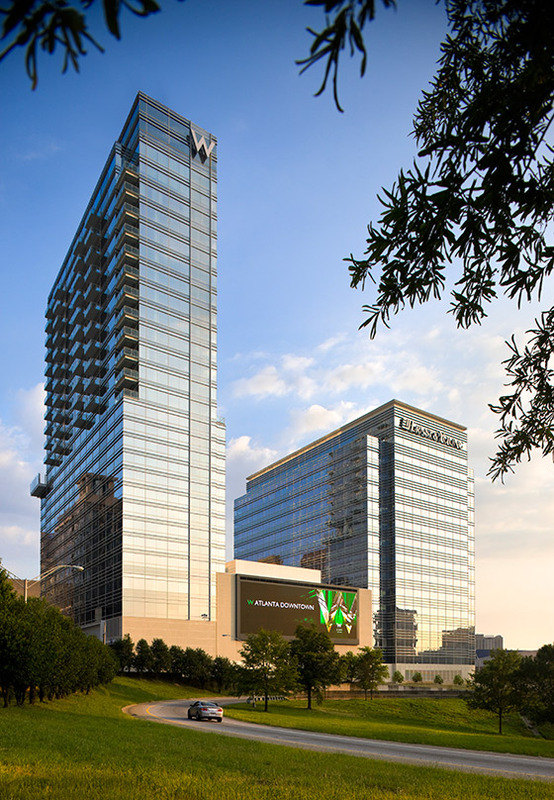 The arrival of the luxurious W Atlanta-Downtown in Allen Plaza attests to the vibrant resurgence of Atlanta in the decade and a half since the city hosted the 1996 Olympics. 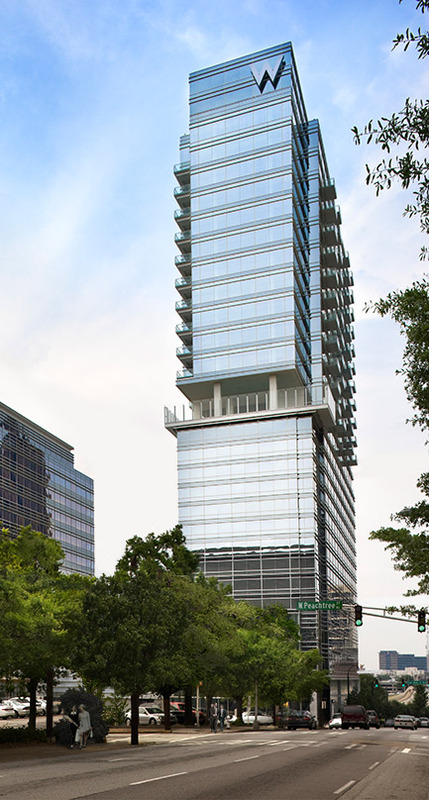 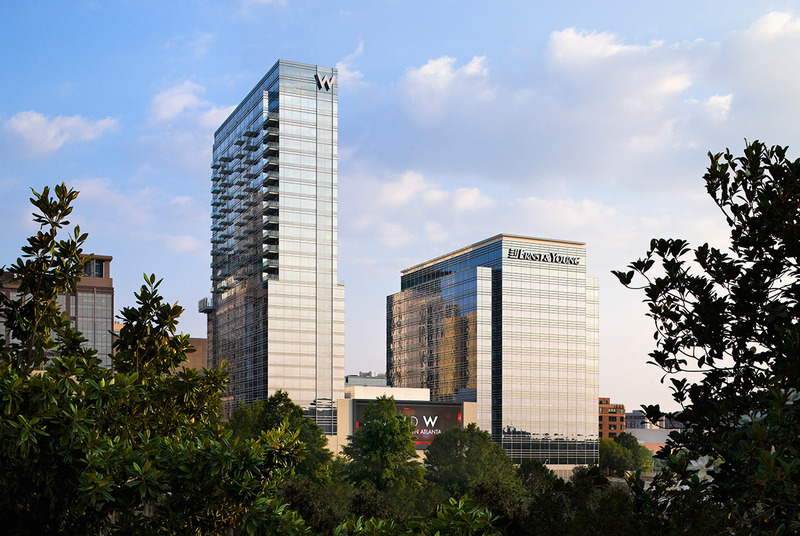 The W Atlanta-Downtown adds 236 hotel rooms and 83 residences to the rich program of urban activity in Allen Plaza, on the business district’s burgeoning western edge. 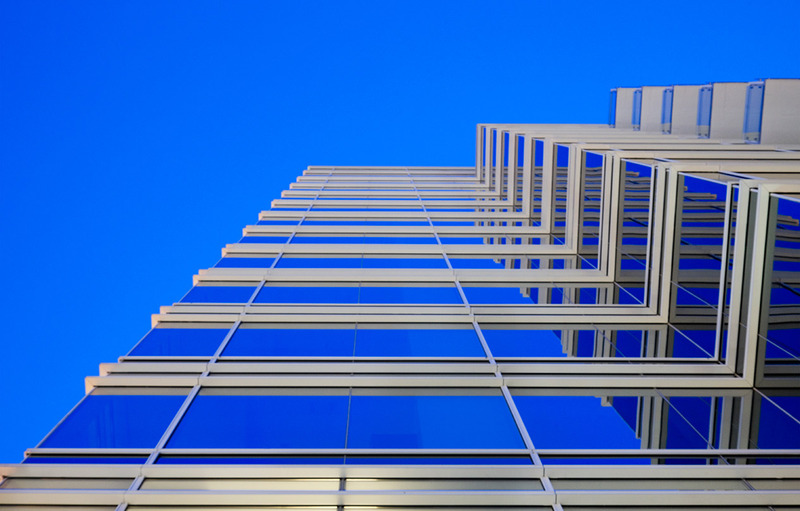 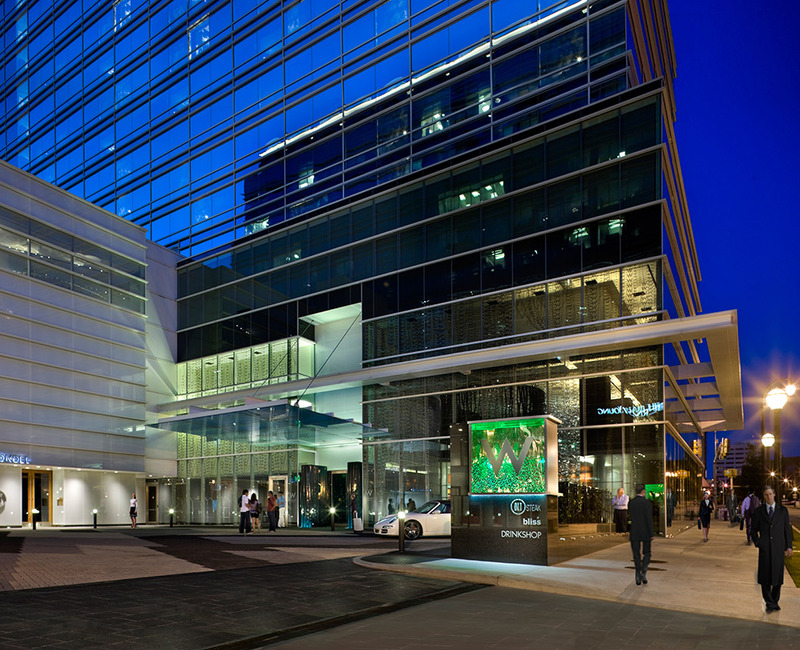 Stores, offices, homes, entertainment venues, and civic and institutional buildings contribute to the neighborhood’s highly successful mix of uses. 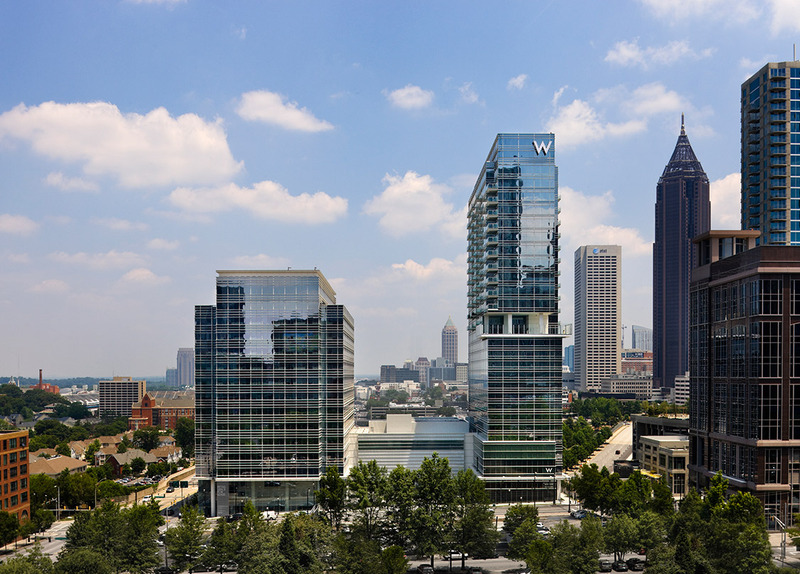 The residences of the W Atlanta-Downtown claim the highest floors of the tower and offer breathtaking views. 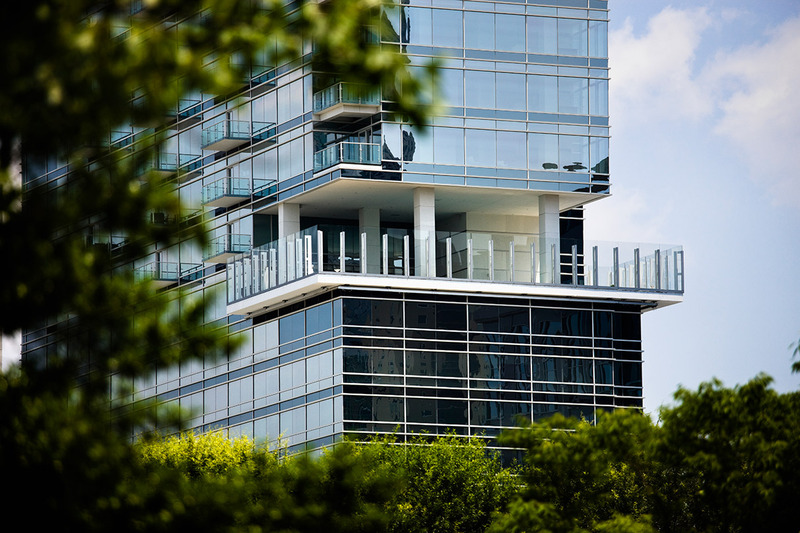 These residences include six spectacular double-height duplex penthouses. 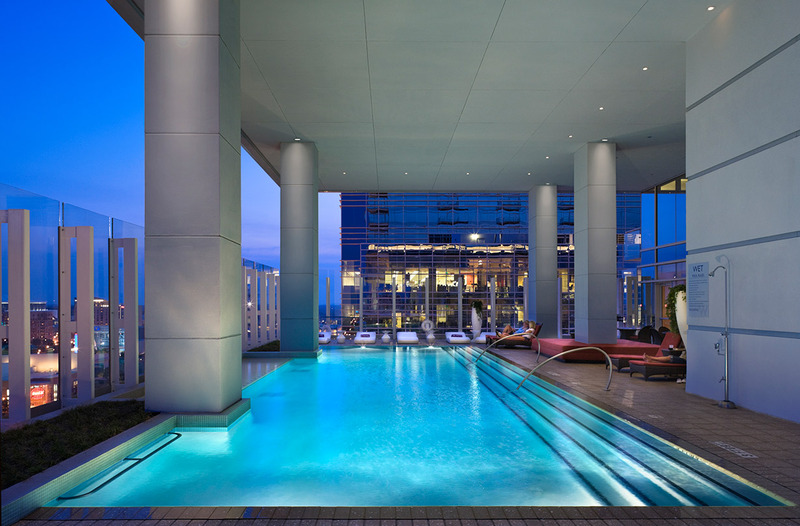 At mid-tower, an outdoor pool, spa and fitness facilities serve both hotel and residences, while the podium at the tower’s base offers dining, meeting and banquet facilities, capped by a rooftop garden and bar.